We accept any used kids or adult bikes as donations. Bikes can be dropped-off at the Simple Cycle shop during any open hours. We also accept bike tools, bike parts, and new helmets (we cannot accept used helmets). 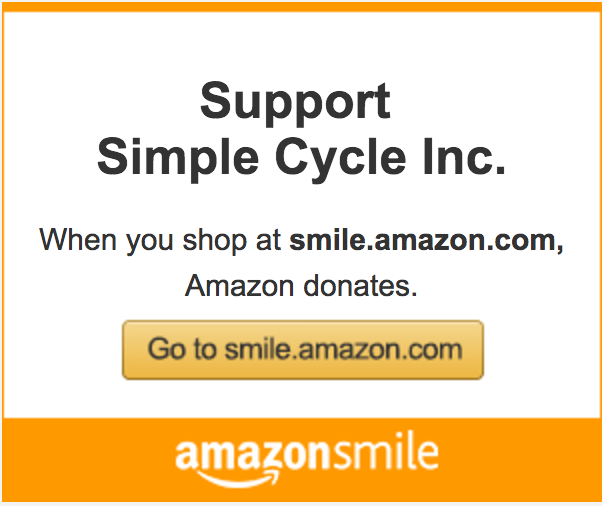 Support Simple Cycle with smile.amazon.com! For purchases on Amazon, ifyou start at smile.amazon.com and designate Simple Cycle as your organization, Amazon will donate 0.5% of all your purchases to Simple Cycle. There is not additinal cost to you, but a great benefit for Simple Cycle! Get more invested in Simple Cycle by donating on a monthly-basis, or as a one-time event. We accept donations via Paypal or checks can be made out to "Simple Cycle" and sent to 4455 N. 6th Street, Philadelphia, PA 19140. All donations are tax-dedutible.